DJ Ikeler is an innovative and visionary leader. Mr. Ikeler has over ten years of experience serving on non-profit boards and councils, and is one of Oakland County, Michigan's Elite 40 Under 40. He has a passion for children in under resourced areas and it's with that heart that he launched the Center for Success Network in 2013. As CEO/President, Mr. Ikeler is responsible for the overseeing of day-to-day activities of the Center, working with board members, overseeing staff, managing community relationships, fundraising and strategic planning. Andrea has been in the field of education since 2005. Andrea has worked to develop the after school program since January of 2015. Prior to that, Andrea gained experience as a classroom teacher for 10 years, mostly in the subject area of Language Arts in a variety of urban settings from Center Line MI to South Central Los Angeles. She has served on the Leadership Team of two Charter Schools, adding valuable insight to discussions on school structures and best practices for student success. Her work at Center for Success has offered the opportunity to bring parents and community members into the conversation of serving and uplifting urban youth. Andrea holds certifications in Evidence Based Literacy Instruction (EBLI) and English Language Development (ELD) which support her role in creating meaningful, individualized lessons for struggling readers at the center. In addition, Andrea has been able to connect with various community organizations to bring a well-rounded program to the youth at the Center for Success Detroit. Andrea sits on the Board of Directors for both the Center for Success and the Grosse Pointe Old Devils. Andrea oversees the implementation of the Detroit program, including all lesson planning and mentor training. Andrea holds a Bachelor of Science in Education from Western Michigan University, gaining her degree through their Urban Education program. Melissa Ciraiz is the Digital Marketing Strategist and Manager for MLive Media Group and the Secratery of the Board of Directors for Center for Success. Through her expertise on social media and digital marketing, she provides insight and knowledge to the Center for Success staff. Jennifer Bohne is a Director for MORC. She is a passionate experienced leader who is driven by the belief that all people are inherently deserving of a rich full life despite historical marginalization, societal attitudes, and personal strengths or challenges. Her primary focus has been on empowering individuals with intellectual and developmental disabilities to take their place as full citizens in our society through planning and advocacy efforts. Jennifer serves as Treasurer for Center for Success Network. Stephanie Mujais is passionate about creating and implementing educational programs for families in urban areas. She believes the key to helping individuals become successful is to encourage and assist people in the development of their knowledge, skills and confidence. Ms. Mujais has 20+ years of experience leading community involvement teams along with a background in social work and teaching. Ryan is an innovative leader who has worked in Managed IT services for the past three years. As Executive Partner Development Specialist for MIS Solutions, he works to find IT companies to partner with and help with growth strategy and sales experience for those partners and potential customers. 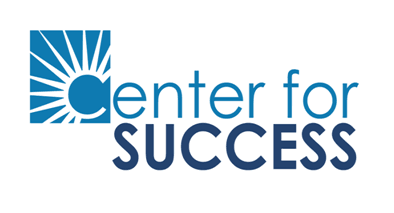 In 2013 Ryan cofounded the Center for Success Network, with his brother DJ. Along with his wife Amy, he moved into an urban area to help make a difference for the families we serve. Alex Resnik is one of a founding partners of a major golf ball distributor company. With a start up team of three, he oversaw the growth of a small business into a thriving company through the usage of social media. He is a self-motivated individual who always strives to make himself and people around me more successful. He believes that success is not only measured in how much money you make, it is also measured by the positive impacts you have on people. Mr. Resnik supports the mission of the Center by overseeing major event organization and helping to put strategy around goals set. Lou Ray is the President of a major industrial company. Through his hard work and insight, he grew his company from less than $500,000 in 1995 to over $12MM annually. As a part of that growth, Lou partnered with Center for Success in 2015 to launch the Detroit location. Lou specialties in strategic planning, mergers & acquisitions. He serves as a director for Center for Success Network, where his business expertise provides a depth of insight to our staff and board.